Are scientists trying to play God? 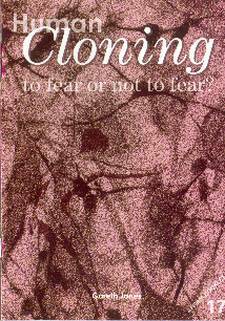 Human Cloning: to fear or not to fear? is a fascinating booklet from Affirm Publications. Gareth Jones, Professor of Anatomy and Structural Biology at the University of Otago, carefully outlines the pros and cons of the human cloning issue and presents a logical Christian stance. Affirm Booklets are always on the cutting edge of examining current issues – their latest title is no exception. Essential reading.